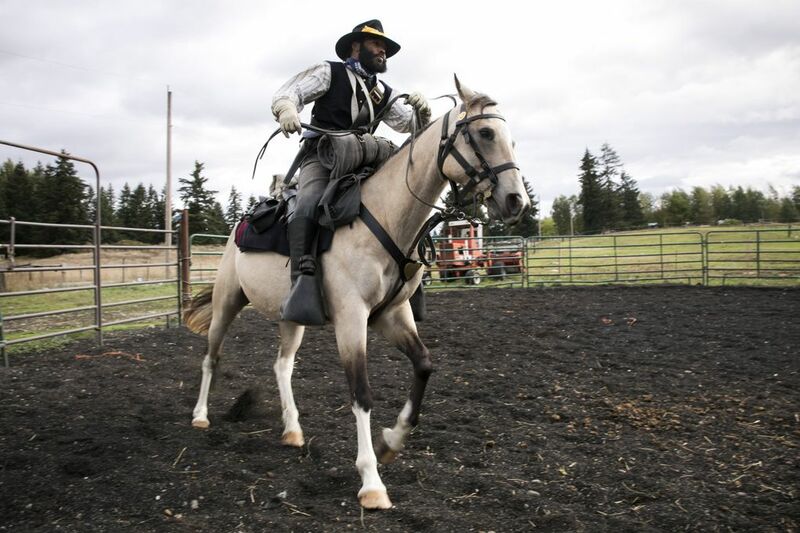 The buffalo soldiers are best known for their service in the 1800s, but the all-black regiments of the U.S. Army have a history and a living legacy right here in the Pacific Northwest. 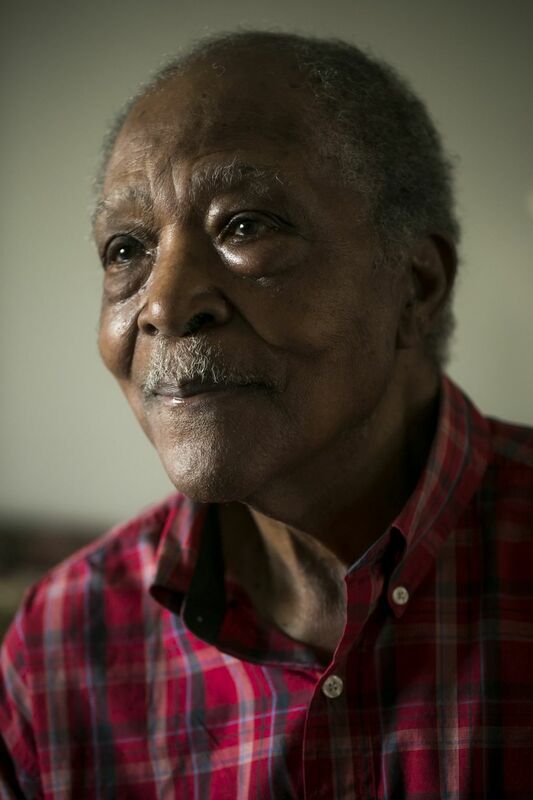 When Clyde Robinson was drafted into the U.S. Army’s 9th Cavalry Regiment in 1942, he had never heard of the buffalo soldiers. He did not know that he would become part of the storied, complicated legacy of the all-black regiments of the U.S. military. The term “buffalo soldiers” refers to the men who served in the four all-black Army regiments founded after the Civil War. According to legend, the name was bestowed by Native people who thought the soldiers’ hair looked like buffalo fur. Other lore contends it was due to the soldiers’ fierceness in battle. 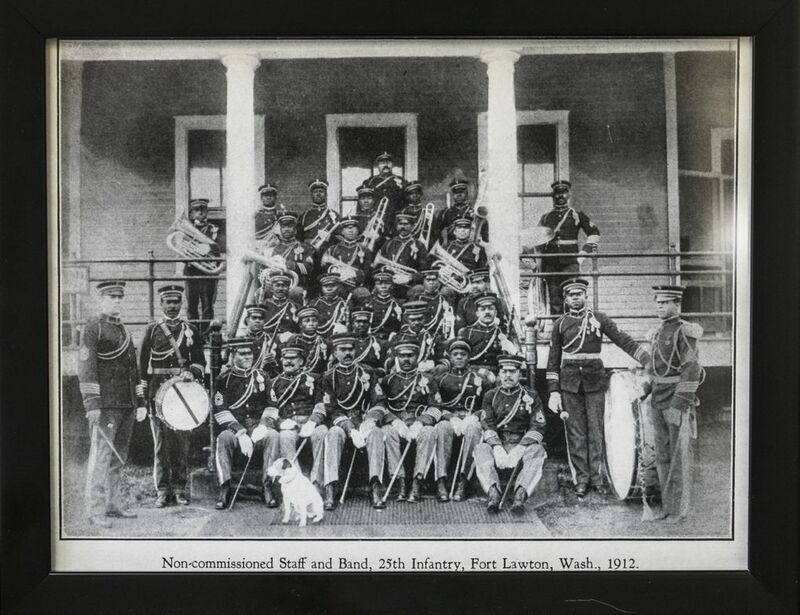 The all-black regiments patrolled new settlements in the West, built infrastructure that helped make westward expansion possible, and fought in every U.S. war after the Civil War until the U.S. Army was desegregated in 1948. However, despite their significant role in U.S. history, their own story has been largely erased over time. 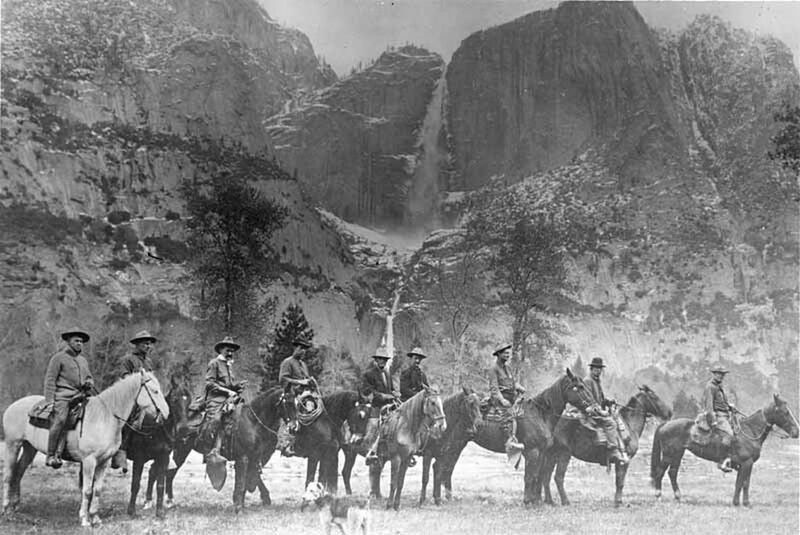 In addition to their contributions to U.S. history, the buffalo soldiers helped to spread black culture in places, like many locations in the Pacific Northwest at the time, where black populations were small or nonexistent. The legacies of these forgotten servicemen live on in their descendants and the people who continue to be inspired by their stories. A number of them have devoted their lives to reclaiming and spreading the legacy of the buffalo soldiers in the Pacific Northwest. Dee Craig-Arnold is tall and stalwart – just, she said, as was her grandfather Alfred Jerome Franklin, a sergeant in Company B of the buffalo soldiers’ 24th Infantry Regiment. Like her grandfather, Craig-Arnold also served in the armed forces, but there’s little military bearing in her manner. Chic in a black tunic spotted with bright exotic flowers, Craig-Arnold, 79, was vibrant, cheerful and quite comfortable in front of a video camera during an interview at her Portland, Oregon, home. “I’m a Leo,” she said laughing as she settled in on her couch, ready to talk about how she came to know her grandfather through the artifacts of his time as a buffalo soldier. Craig-Arnold never knew her grandfather; he died one year before she was born and her family didn’t really talk about him. One of the few stories that was told is Franklin’s account of the Battle of San Juan Hill, famously known as the decisive battle in the Spanish-American War in which Theodore Roosevelt is credited with heroically leading the charge to victory. Craig-Arnold lit up with excitement when she told the story, laughing loudly all the way through. “The way the history books have depicted Teddy Roosevelt and the storming of the San Juan Hill, there’s a part that they missed. 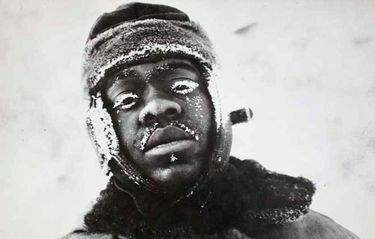 Because he did storm it, but he got surrounded by the enemy, and the African-American soldiers, the buffalo soldiers, were sent up to rescue him. That’s how it went. And that’s as far as I know about that,” she said. Franklin’s version of events is backed up by Jerome Tuccille’s book, “The Roughest Riders: The Untold Story of the Black Soldiers in the Spanish-American War,” which corrects the narrative and attributes the all-black regiments with not only rescuing Roosevelt but also with doing the majority of the fighting. 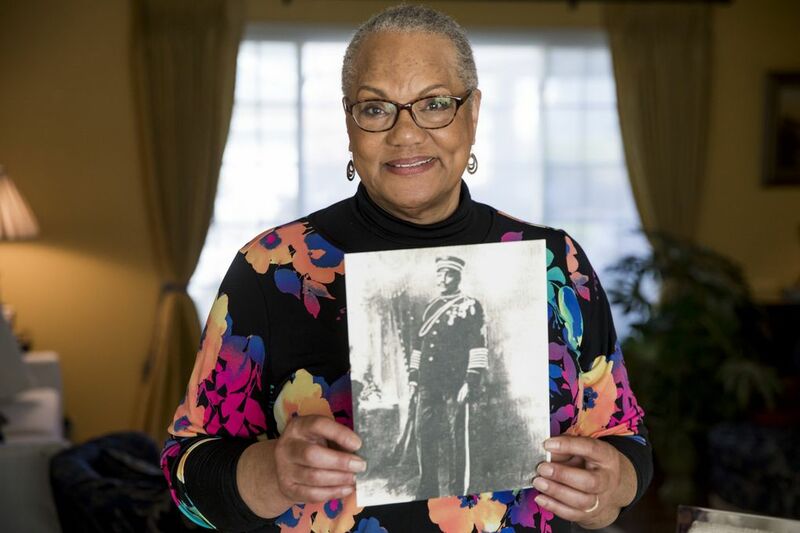 Craig-Arnold has pored over the documents and memorabilia from her grandfather’s time as a soldier in the all-black regiments of the U.S. military. 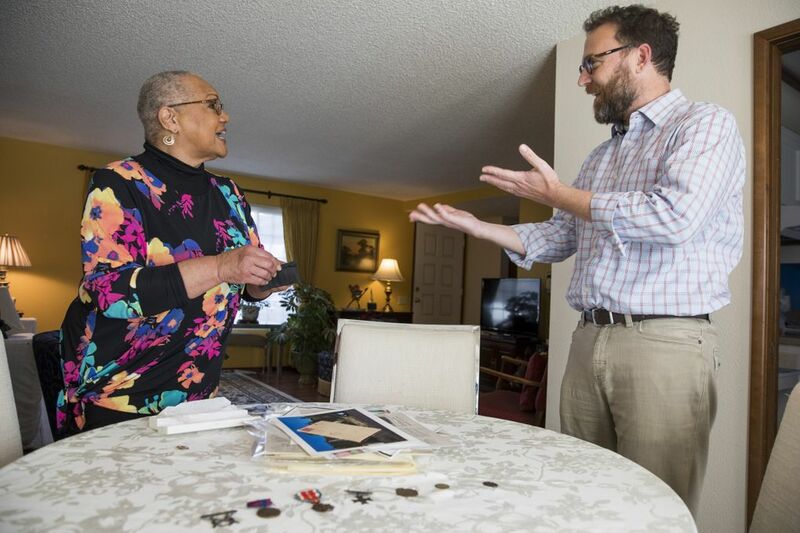 With the help of historian Greg Shine, those artifacts revealed the story of a pioneering black man in one of America’s whitest major cities. Formerly a chief ranger and historian with the National Park Service, Shine was stationed in Washington state at Fort Vancouver in 2002. He was drawn to the little-known stories of the 104 buffalo soldiers who were garrisoned there in 1899. Shine’s research led him to Franklin, who was one of few buffalo soldiers to later settle in Portland. That eventually led him to Craig-Arnold, Franklin’s granddaughter who lives in the Portland area, not far from Shine’s home. Shine and Craig-Arnold became friends as they uncovered new stories and information about Franklin and his life in Portland. Shine has become an endless trove of knowledge about the buffalo soldiers in Oregon, and he has extensively explored the details of Franklin’s military career from Texas to the Philippines to the Pacific Northwest. “You could follow his postings, and his story tells the story of the U.S. Army in the late 19th century and into the early 20th century,” Shine said. But for Shine, the story of Franklin and his descendants is more than just an interesting anecdote in U.S. military history. Craig-Arnold hopes her family history can contribute to a more complete account of the all-black regiments. 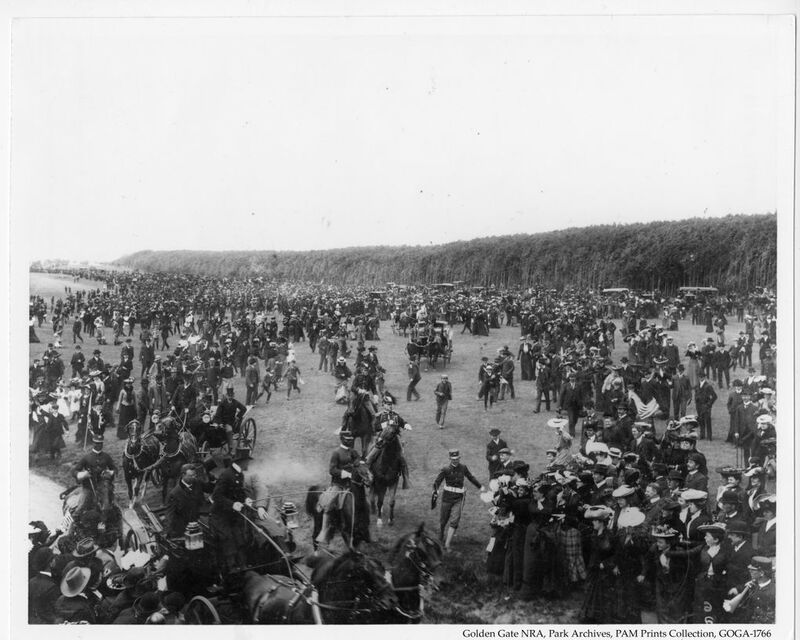 The history of the buffalo soldiers didn’t end in the 19th century. Seventy-six years after the first all-black regiments were formed, black soldiers like Clyde Robinson continued to serve in segregated units and frequently endured racism within the armed forces and at home. Robinson loves Seattle and eventually made it his home, but he isn’t a big fan of Tacoma. Robinson vividly remembers Dec. 26, 1945 — the day he arrived in Tacoma at the end of World War II. Robinson settled in Seattle because he felt there was less discrimination there than in other places. 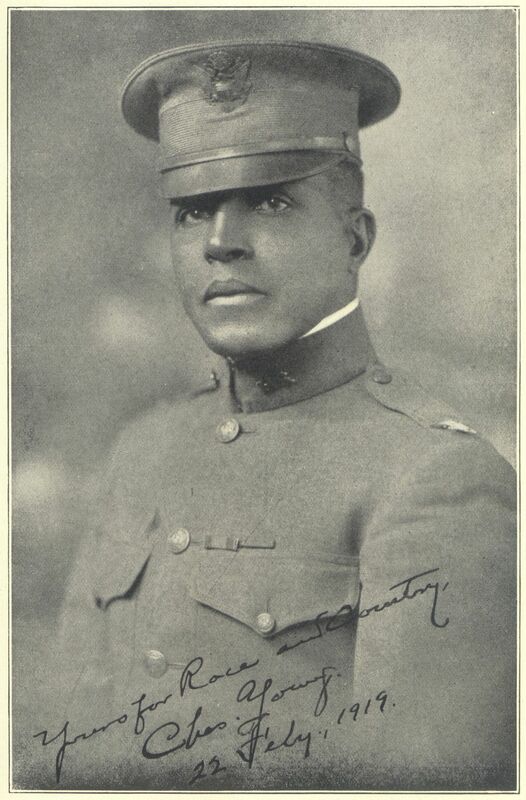 Robinson acknowledged the unequal treatment of black soldiers during his service in short, matter-of fact sentences, noting that white soldiers kept black soldiers out of certain restaurants in the Philippines. Robinson said he kept to himself, did his duty and focused on getting home from the war. “I never gave nobody no problem. I know right from wrong. I know what you had to do. So that’s the way I carried myself. You had to do what you was told,” he said. Robinson does not romanticize his time as a soldier. If he hadn’t been drafted, he probably wouldn’t have volunteered, he says. But he is grateful for how much he learned. 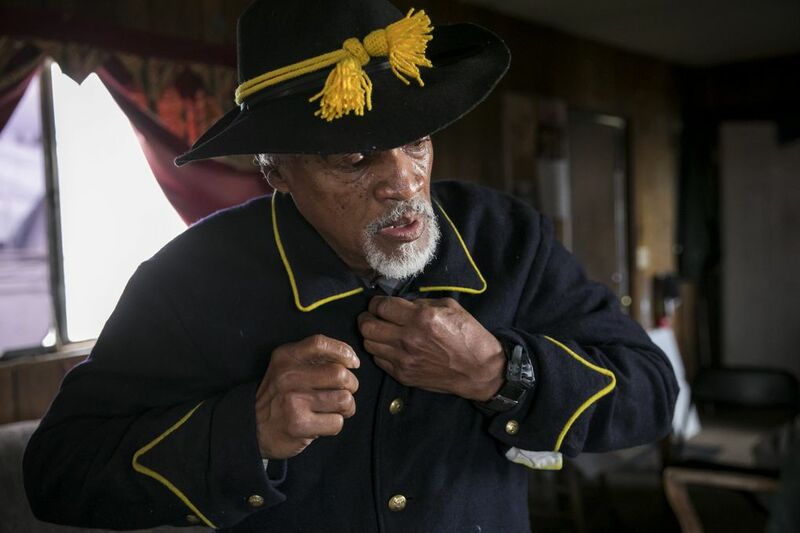 As the last known veteran of the all-black regiments in Seattle today, Robinson occasionally dons a traditional buffalo soldier uniform to speak at events and increase awareness about a history that he finds few know about. Several organizations in the Pacific Northwest today are dedicated to raising awareness of buffalo soldiers’ history in the region. If you’re not looking for it, you might miss the Buffalo Soldiers Museum in Tacoma. 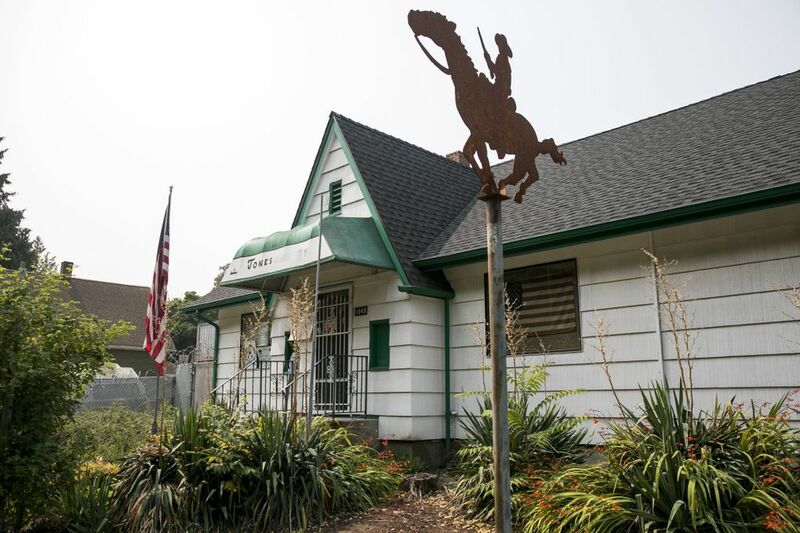 Aside from a small sign and a metal cutout of a mounted soldier standing on the lawn, it looks like any other home in Tacoma’s Hilltop neighborhood. Inside, the family home layout lends a sense of intimacy to the experience of the history within, like browsing old family photos on the wall of a family friend’s home. The museum is indeed a family affair. 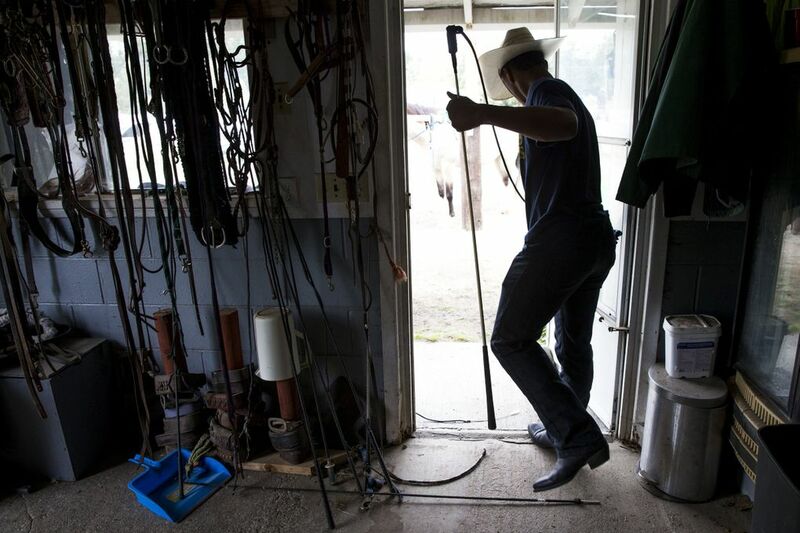 It was founded in 2005 as the labor of love of William Jones, one of the last soldiers to serve in the historic buffalo soldiers 10th Cavalry Regiment before it was deactivated in 1944. In 1948, an executive order officially ended segregation in the U.S. Armed Forces. Jones died in 2009, and his daughter, Jackie Jones-Hook, took over the museum. It wasn’t necessarily her plan, but she’s embraced it with pride. 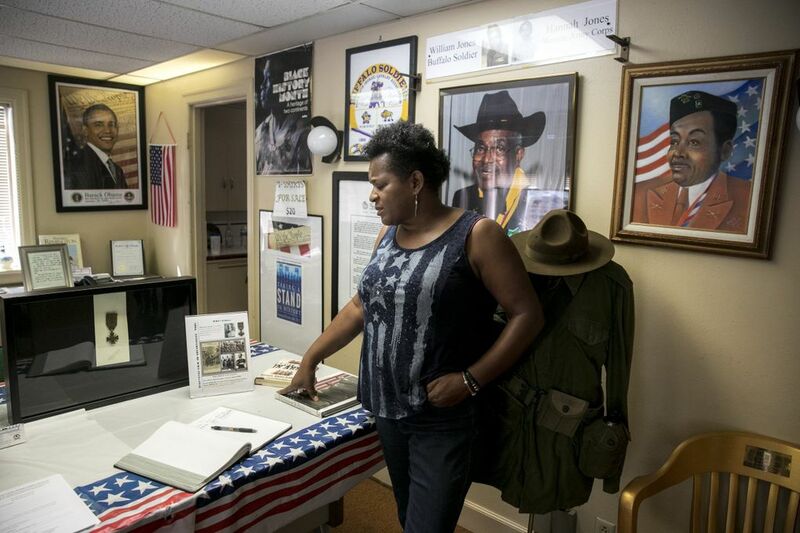 Jones-Hook said her father rarely spoke about his time in the military and it wasn’t until she assumed stewardship of the museum that she really dived into the buffalo soldiers’ history. “I’d seen what he had started, then I began to research,” she said. What was once likely a dining room has been converted into a multimedia room where visitors can watch videos about the buffalo soldiers. Jones-Hook has seen them so many times that she can quote from several, and knows exactly which combination of clips to show for a well-rounded overview of the buffalo soldiers’ history. “I don’t really have a life outside of this,” she said. 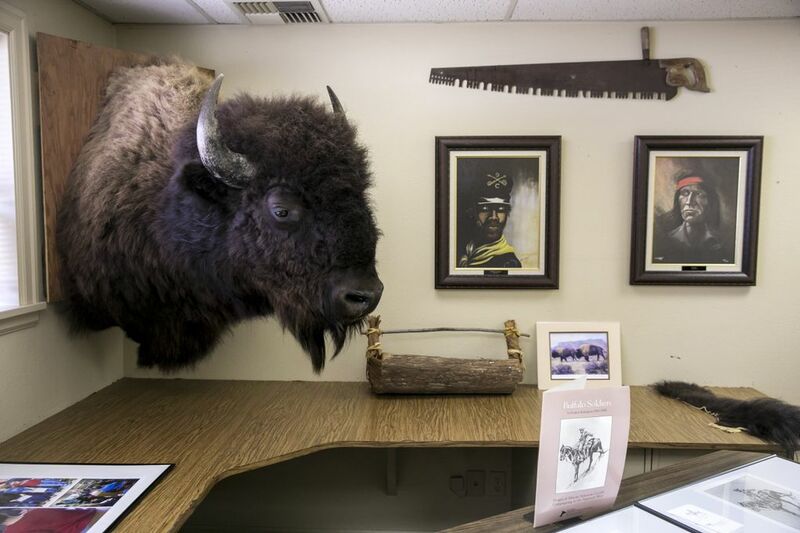 Jones-Hook has worked with schools and the National Park Service to expand the mission of the museum and spread awareness of the buffalo soldiers. The U.S. “is so divided that I, in some way, hope that the museum is a place where the community can come together and build a better America,” she said. To that same end, Geordan Newbill is in the business of bringing history to life. Newbill learned about the buffalo soldiers when, as a kid, he saw a group of black men in uniform ride past him on horses. 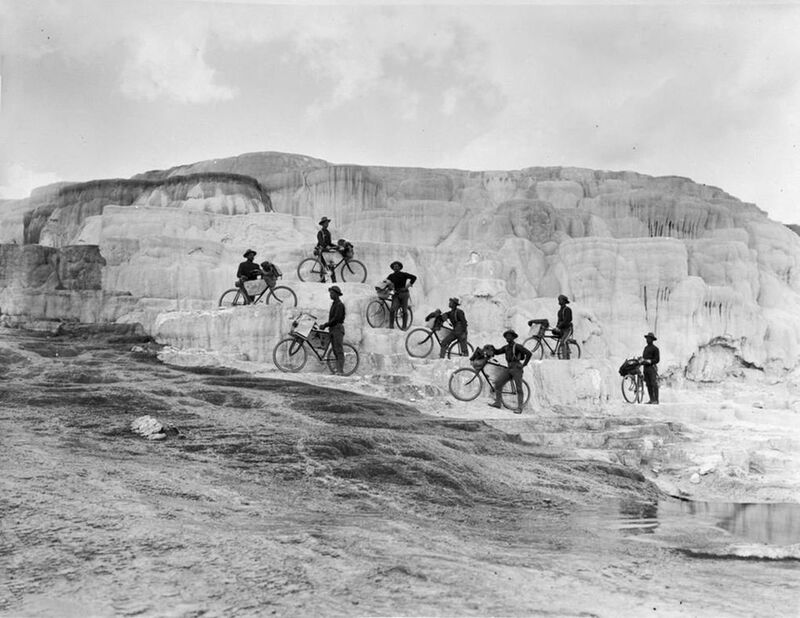 They were part of the Buffalo Soldiers of Seattle, a group of citizens dedicated to raising awareness of the buffalo soldiers’ history. Now, 23 years after joining the group’s inaugural youth cadet program, Newbill is president of the organization and can rattle off facts about the buffalo soldiers without a second thought. 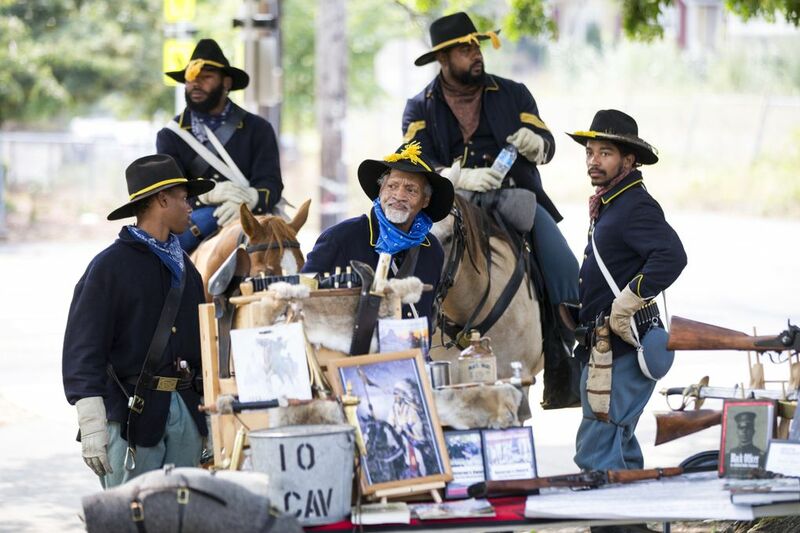 The organization’s members call themselves “living historians,” and believe the buffalo soldiers’ history is relevant today. “People forget to realize that black people have fought and died for this country since the beginning of the country. Every war there was, there was a black man that fought and died in it,” said Newbill. “You have black men who have joined the military, fought and died for these rights that are still being denied today.